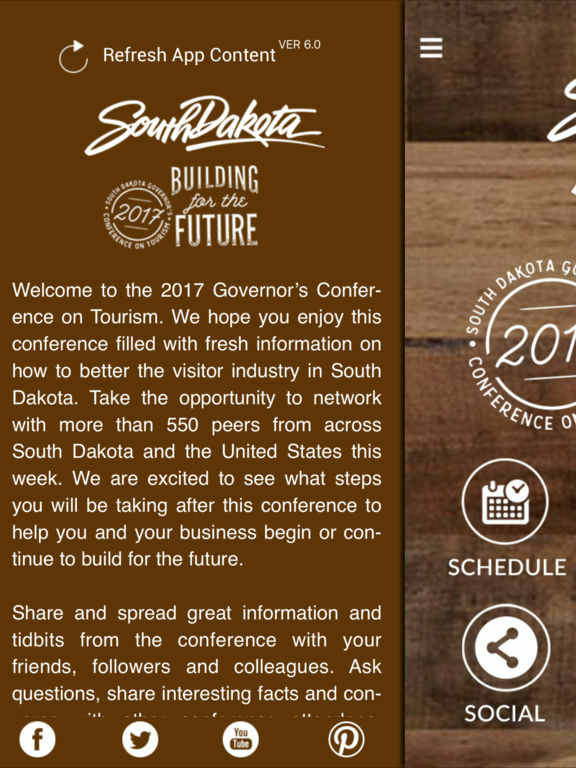 This mobile app is for the 2017 South Dakota Governor’s Conference on Tourism. 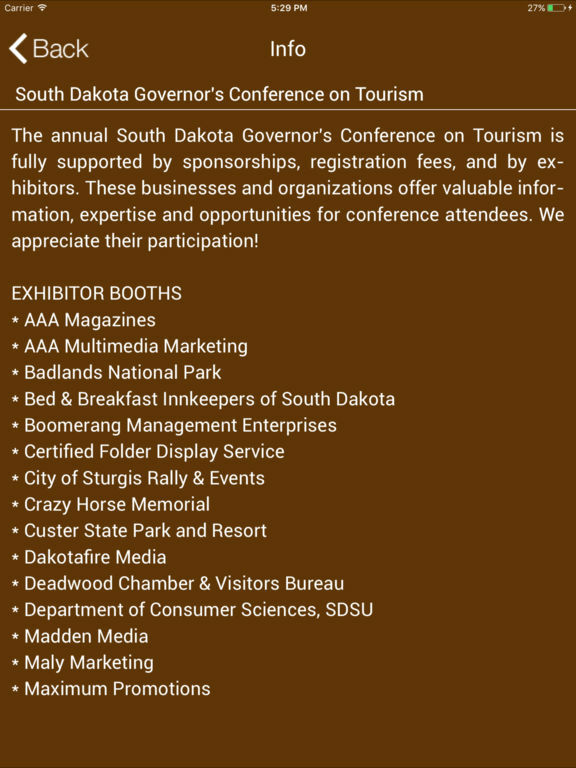 The conference is dedicated to visitor industry marketing, education and trends. 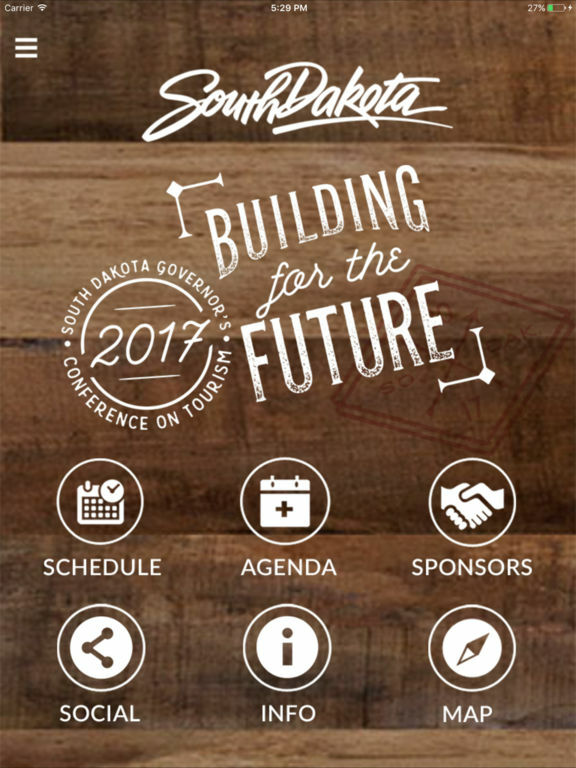 By attending, you'll have the opportunity to network with more than 600 of your peers from across South Dakota and the United States. The conference kicks off Tuesday evening, January 19, with the opening reception. 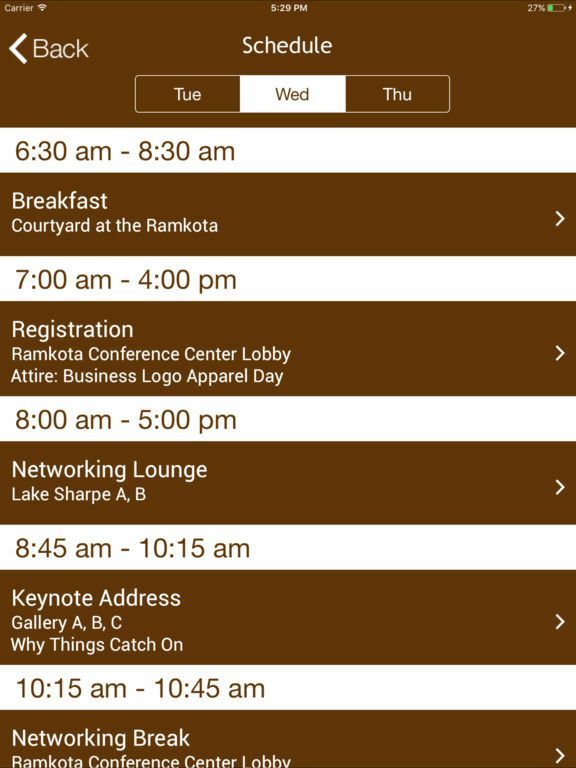 The full conference begins Wednesday morning with a keynote session and it runs through Thursday’s Awards Night Gala. 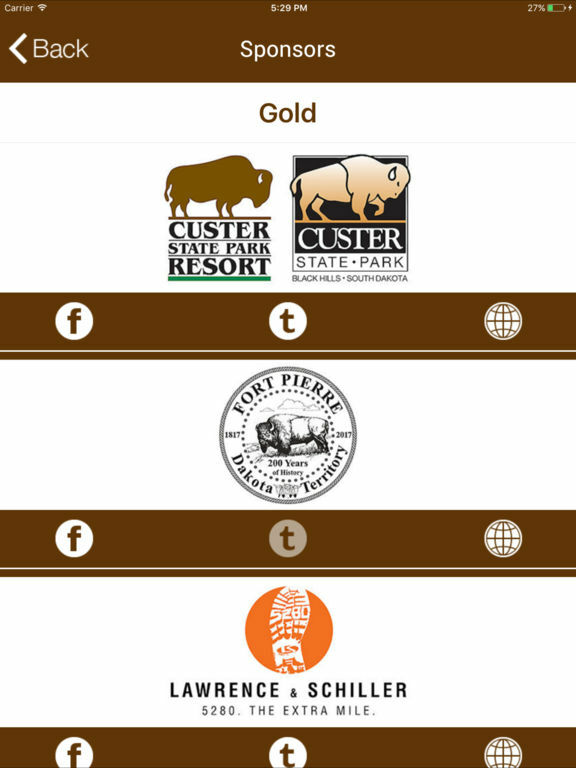 - Updated UI and Data for 2017 Conference.